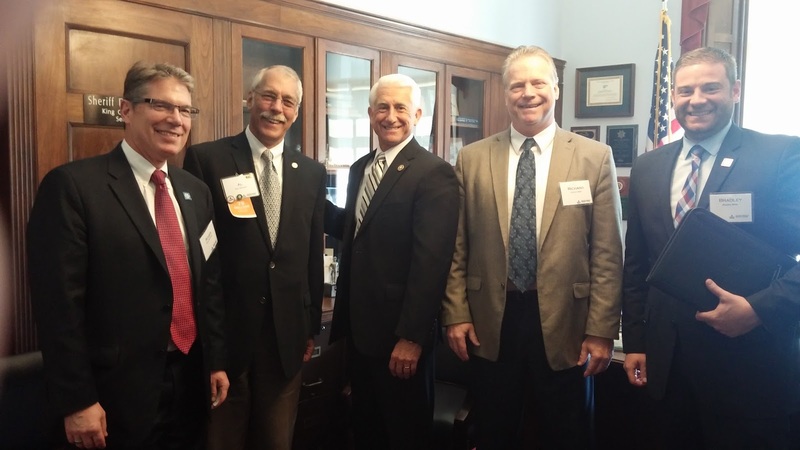 NAIFA national held the 3rd annual Congressional Conference on May 19-20 in Washington DC. The Congressional Conference is a national Day on the Hill and approximately 800 Naifa members from around the country descended on the “other” Washington to educate legislators regarding our industry issues. NAIFA-Washington State members Al Zalewski and Roger McDowell accompanied me, along with soon to be new member Brad Miller. Between the 4 of us we kept 9 appointments from 10am to 5 pm, missing only 3 of a possible 12 federal legislators from the State. The primary topic of discussion was the proposed expansion of the fiduciary rule by the Department of Labor. This is a confusing issue and consequently it is not on the radar of many agents, advisors, or consumers, as it should be. Getting bogged down in the details does not inspire action, so here is a summary of key points. 1) Anyone acting as a fiduciary would not be able to earn commissions or sell proprietary products because those things would be considered conflicts of interest. 2) There are exceptions that would allow commissions, but the advisor and prospective client would have to enter in to a contract before any discussions take place, and the contract could open the advisor to liability. 3) The majority of people we serve will be priced out of the advice market because they will be unable or unwilling to pay fees or sign a contract. If you haven’t done so already, read NAIFA’S official position and contact your Congressman/woman and Senators to voice your concerns. Following is contact information for our Federal delegation. Washington DC knows who we are. Now let them know what we think; loud and clear!! Go NAIFA! Richard L. Miller, APIC Chair.